Comfort food at it’s finest! 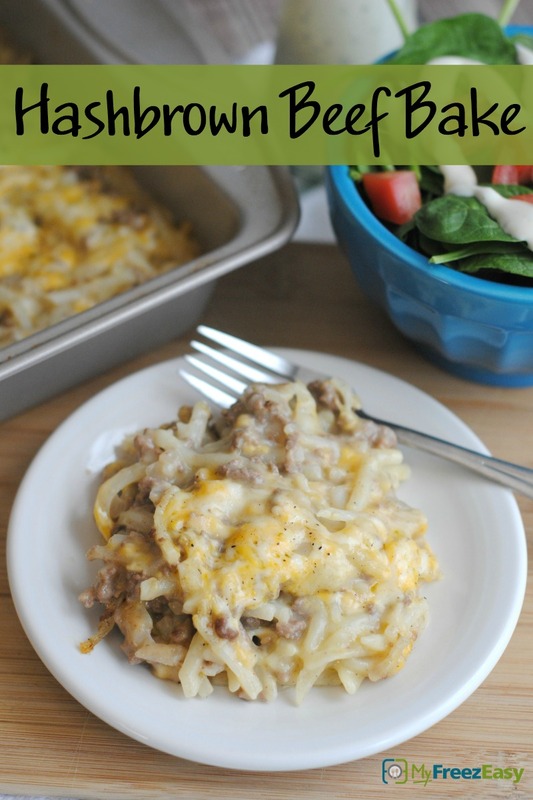 This one is for my meat and potatoes friends…it’s a freezer friendly hashbrown and beef bake…and it’s to.die.for. Open the can of cream of mushroom soup. In a large skillet, brown the ground beef with the minced onion and garlic powder. Once browned, drain and then mix in the shredded hash browns, cream of mushroom soup, milk plus half of the shredded cheese. Pour into a baking dish and top with remaining shredded cheese. Bake in the preheated oven for 30 minutes, or until warmed through and cheese on top is melted. 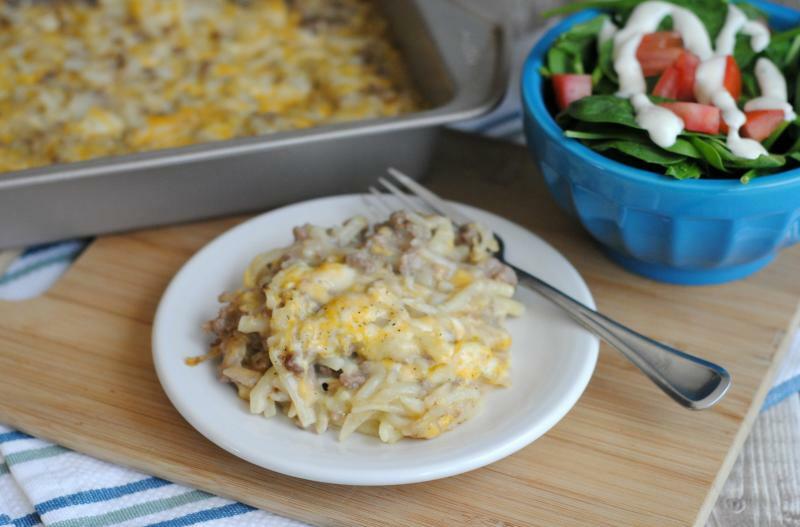 Serve Hashbrown Beef Bake with salad. Open 2 cans of cream of mushroom soup. Add to large bowl and whisk in 2 cups of milk. Thaw completely and bake at 350 F for 30 minutes.